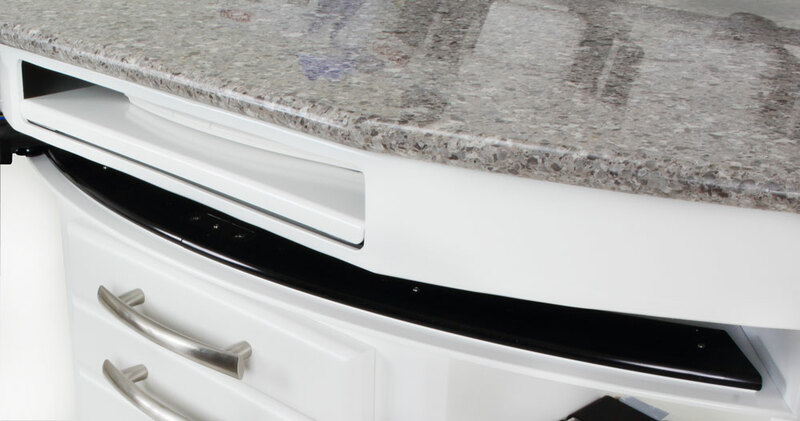 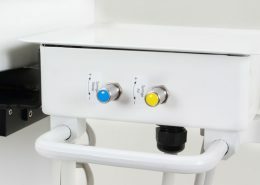 Designed to replace your 12 o’clock cabinet, this ambidextrous system converts from right- to left-handed quickly and easily. 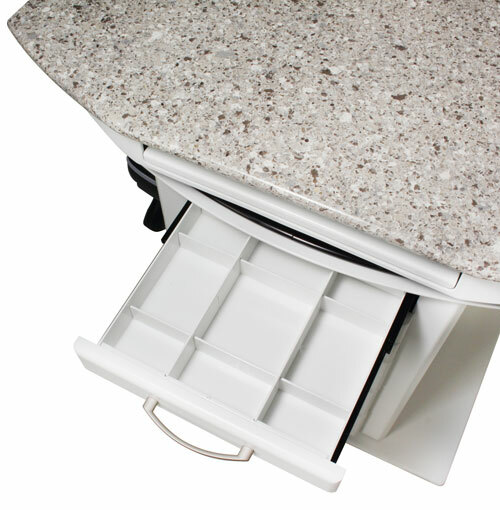 Custom storage options keep your supplies close at hand. 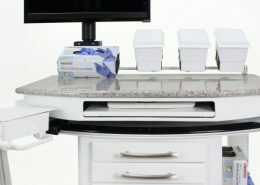 Perfect for keyboard storage, or use for additional instrument workspace. 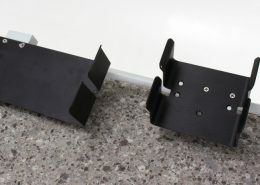 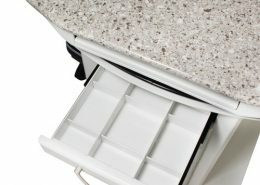 Includes one set of drawer dividers for added organization. 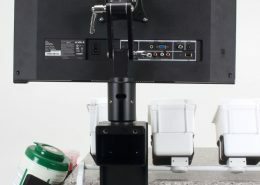 Slide from left to right for instant ambidextrous capability. 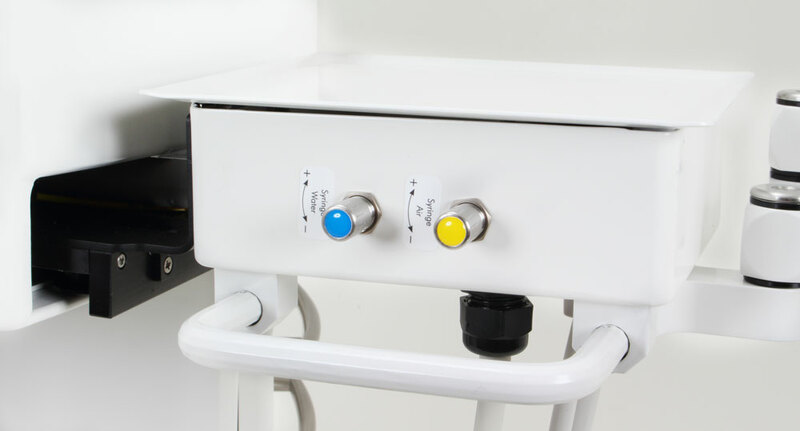 ASI’s titanium straight high volume evacuator, saliva ejector and air/water syringe. 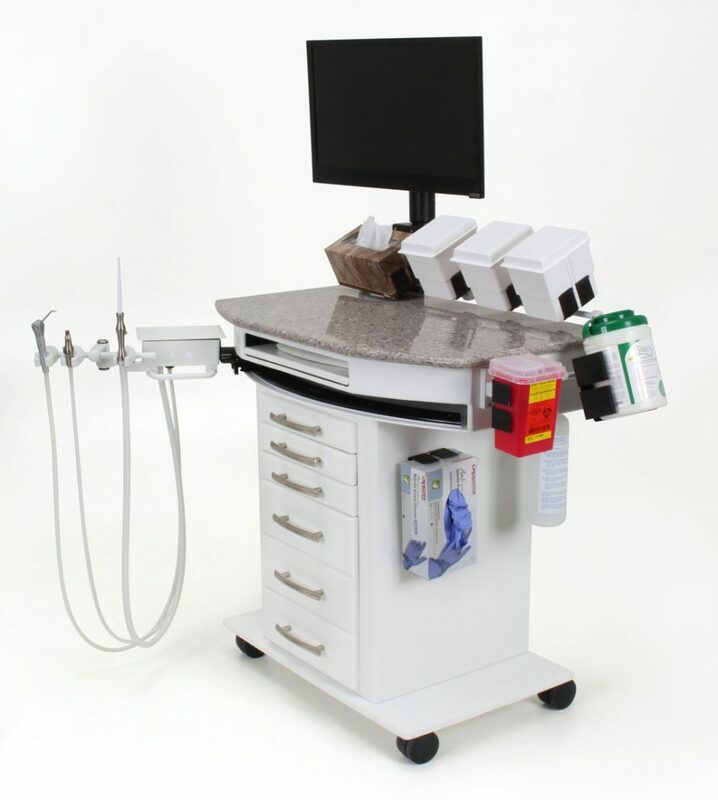 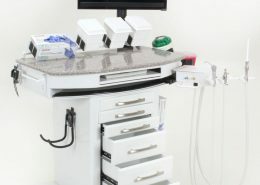 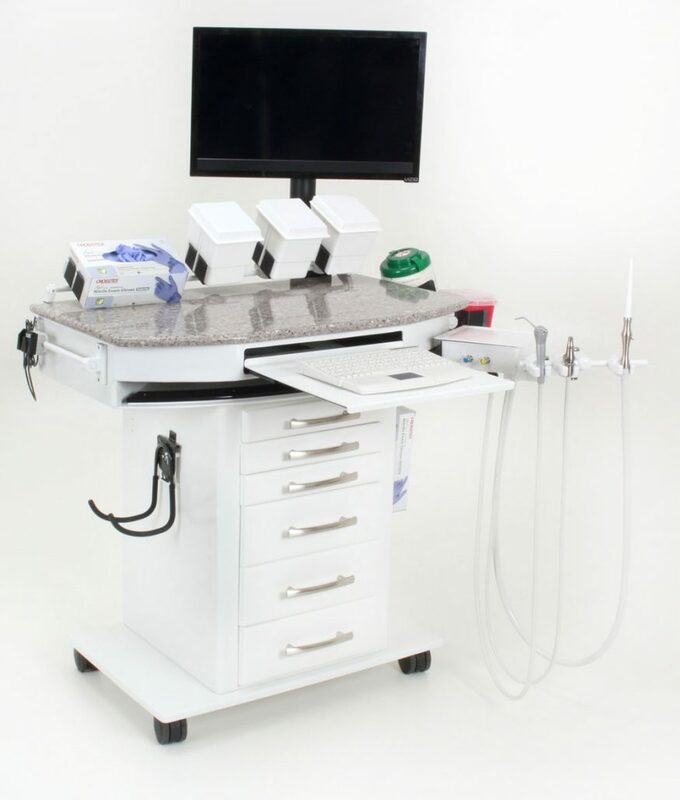 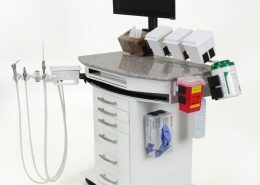 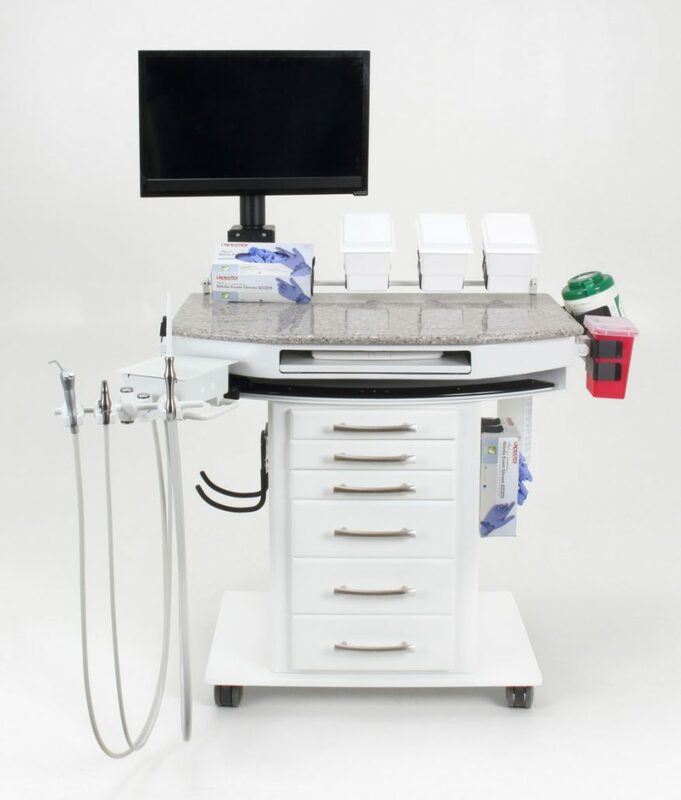 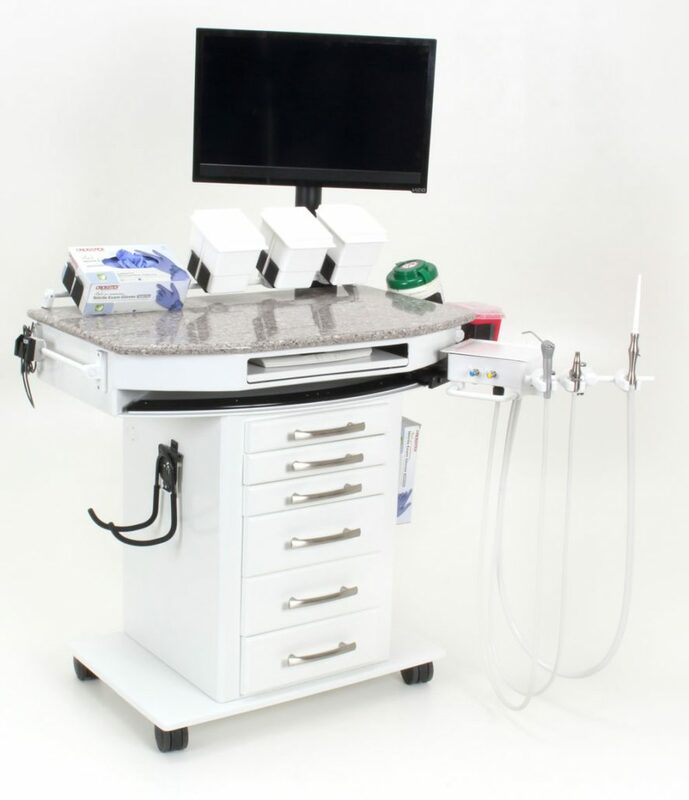 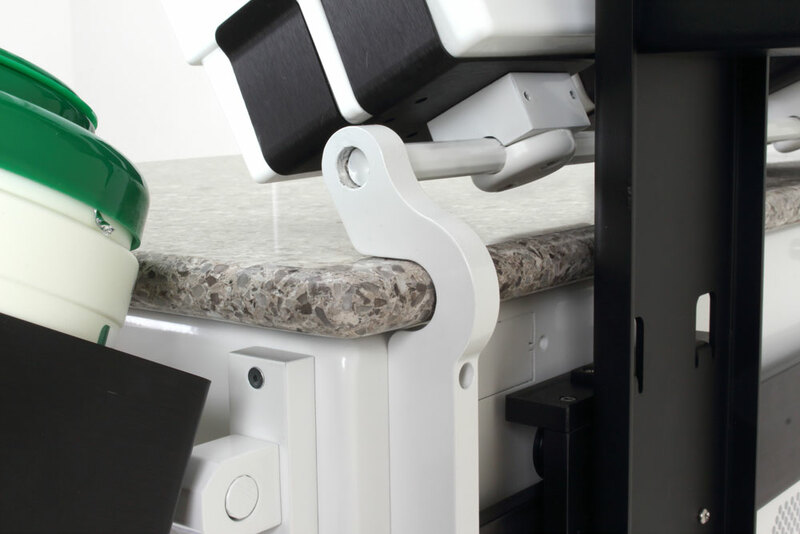 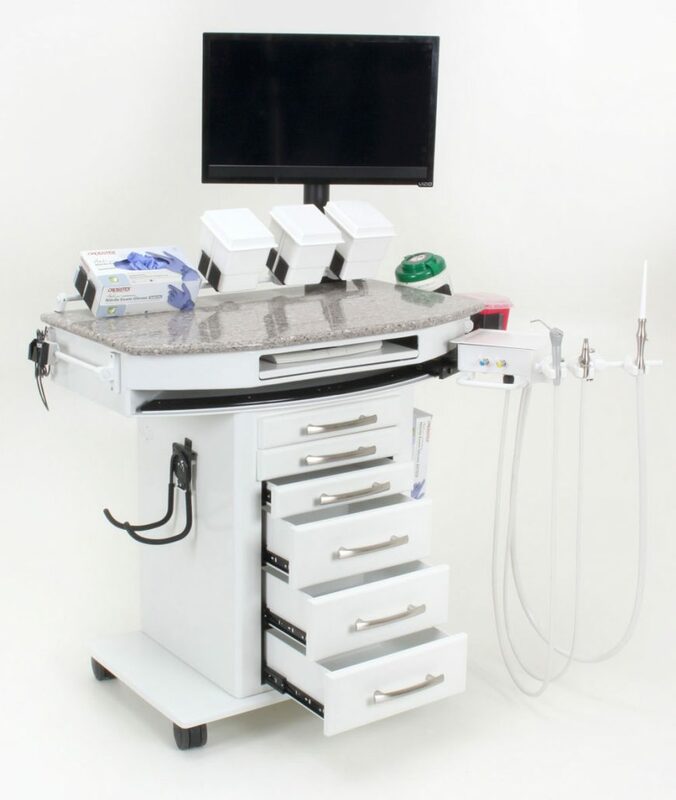 The Designer Assistant’s Dental Cart is a full featured, all-in-one comprehensive dental assistant system. 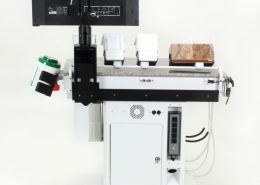 It provides efficient access to instruments, supply storage, material disposal, instrument accessories and computer functions. 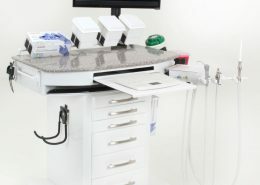 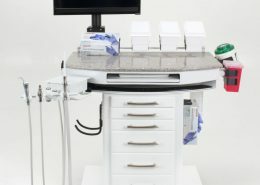 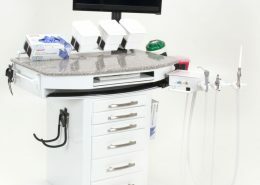 It features a large Silestone® work surface, slide-out tray for keyboard/mouse or dental instruments, and six storage drawers. 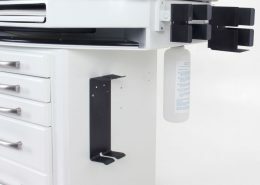 A smaller sized CPU can be located in the rear compartment on the door-mounted shelf. 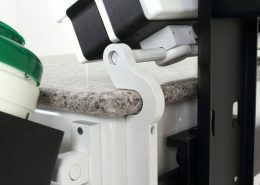 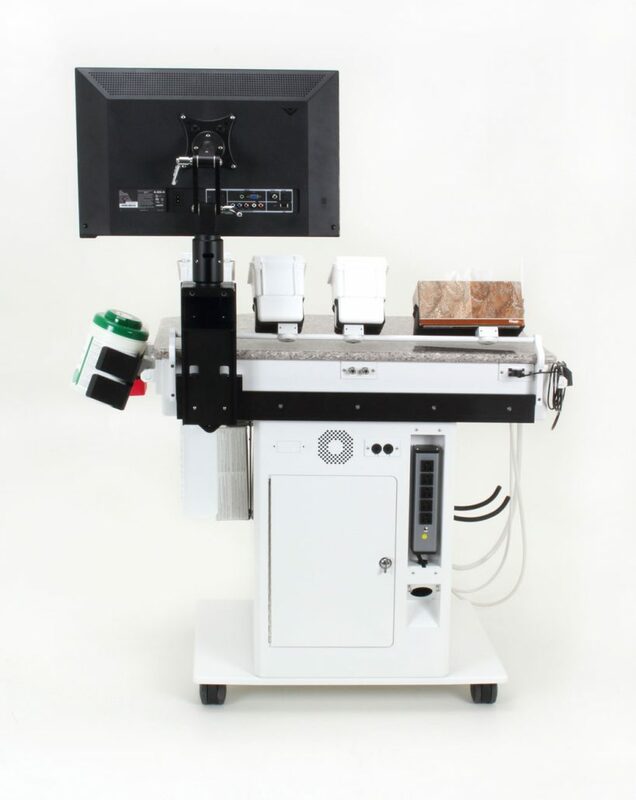 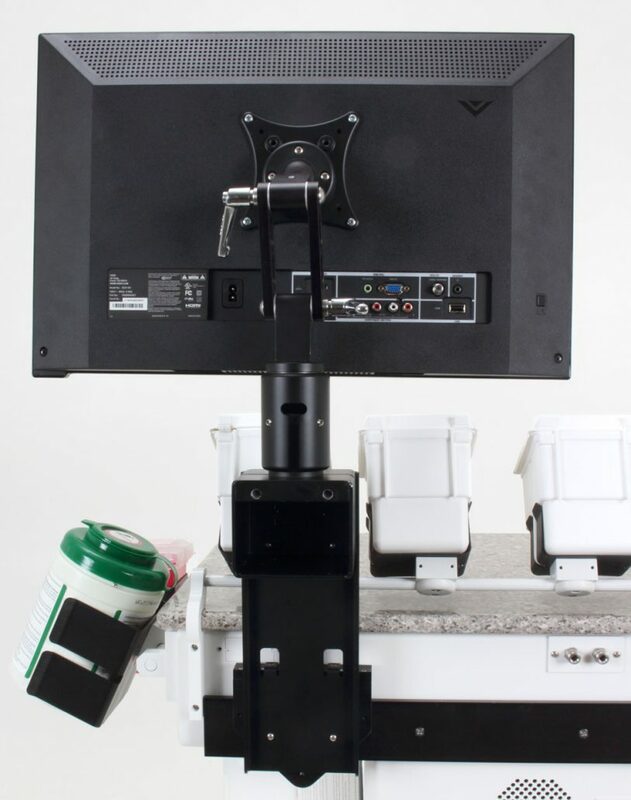 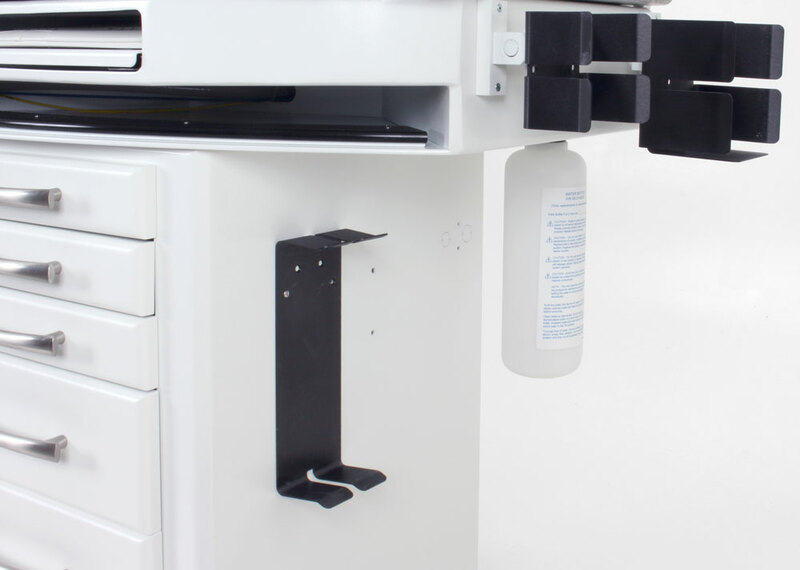 The sliding instrument holder arm can be positioned anywhere along the front for preferred placement. 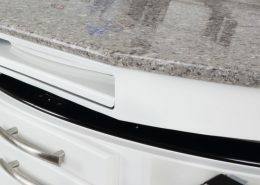 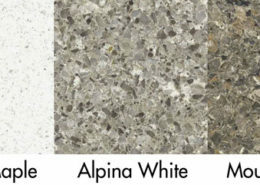 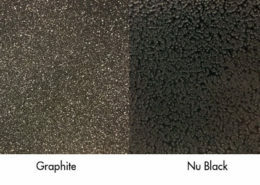 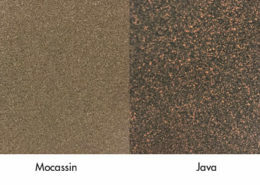 Complement your Designer Series Doctor’s Delivery System by selecting matching paint and Silestone®.